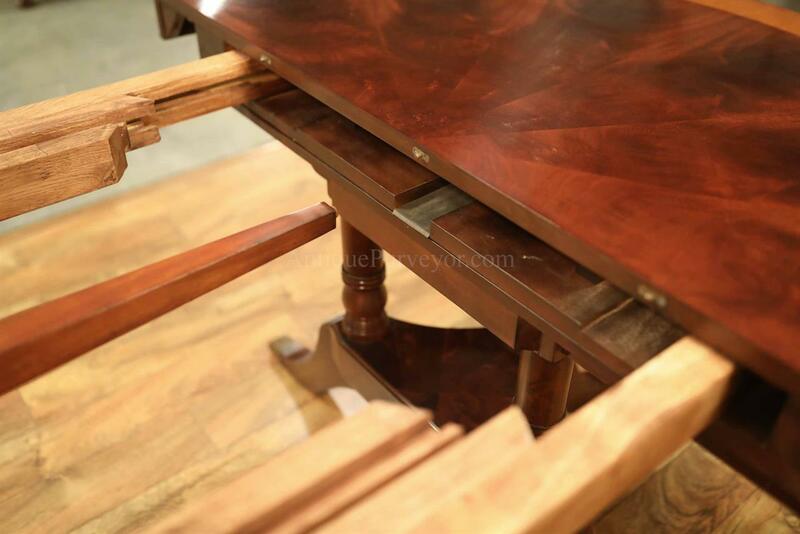 Custom forged hardware attaches the pedestals to the table. 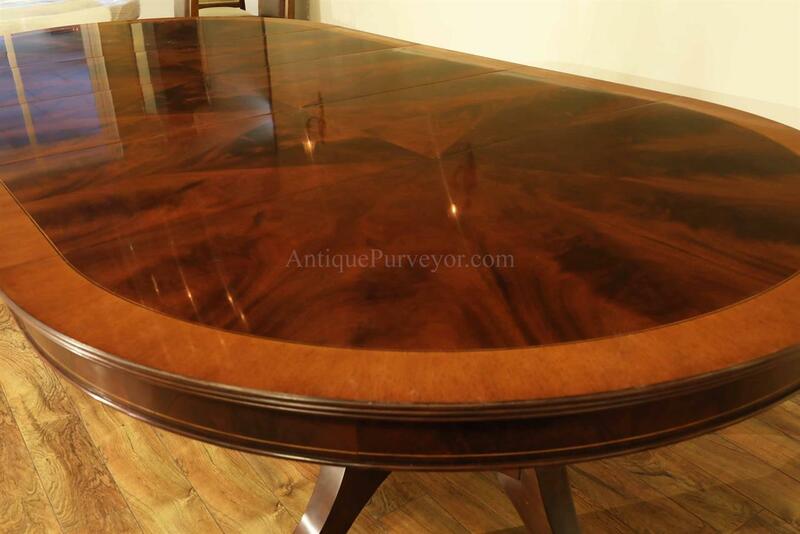 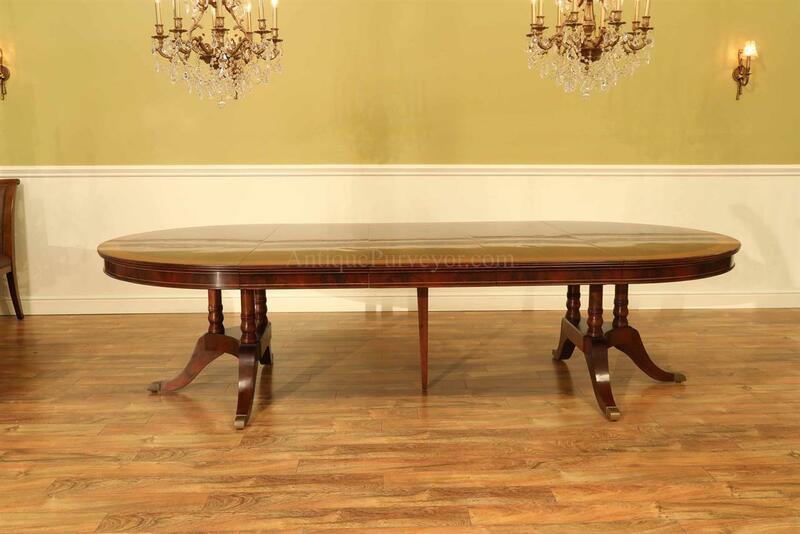 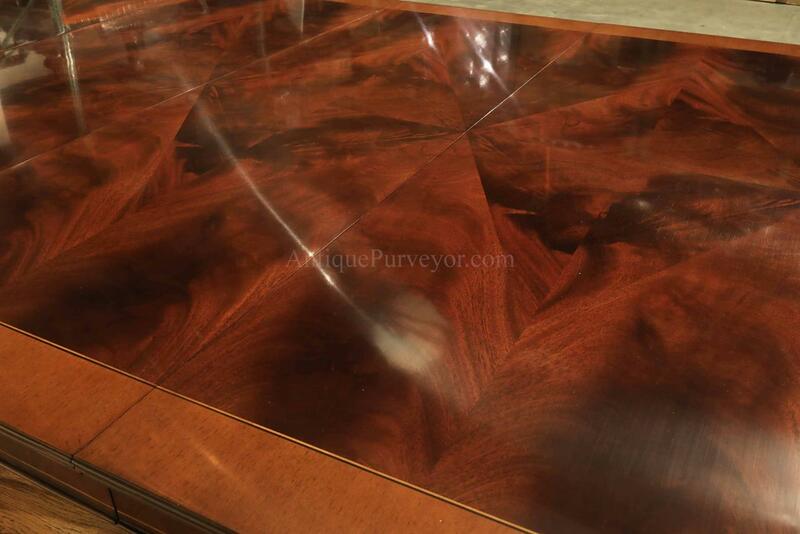 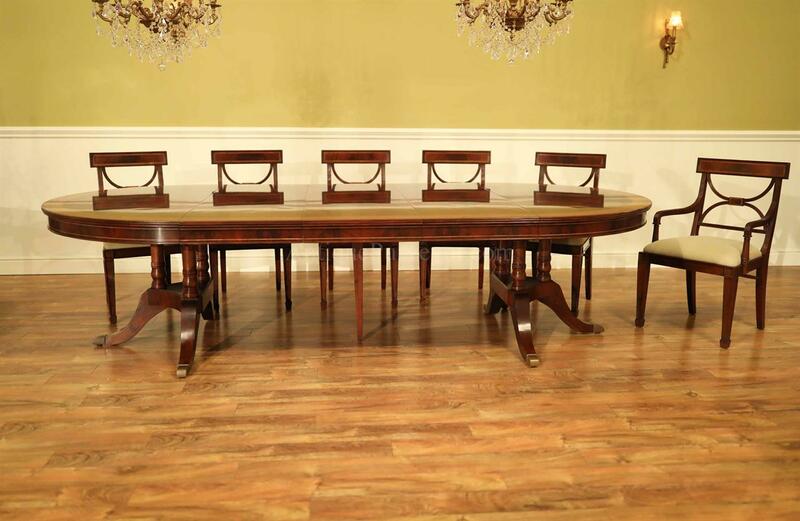 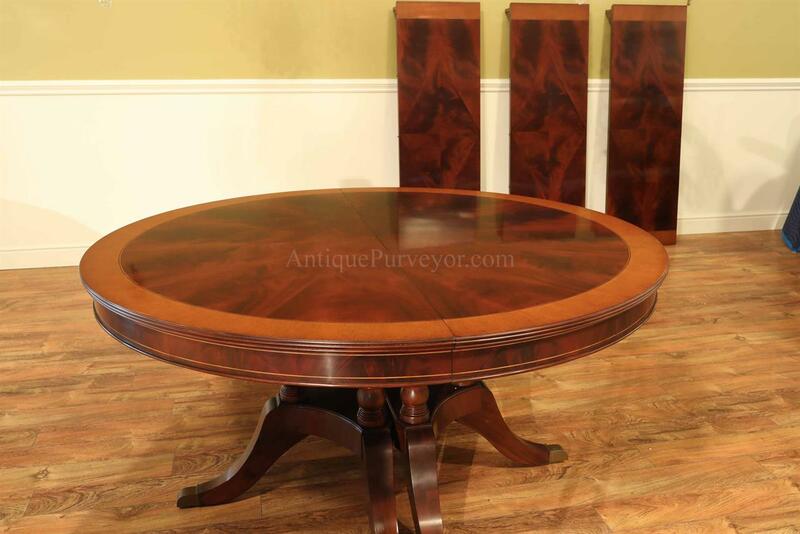 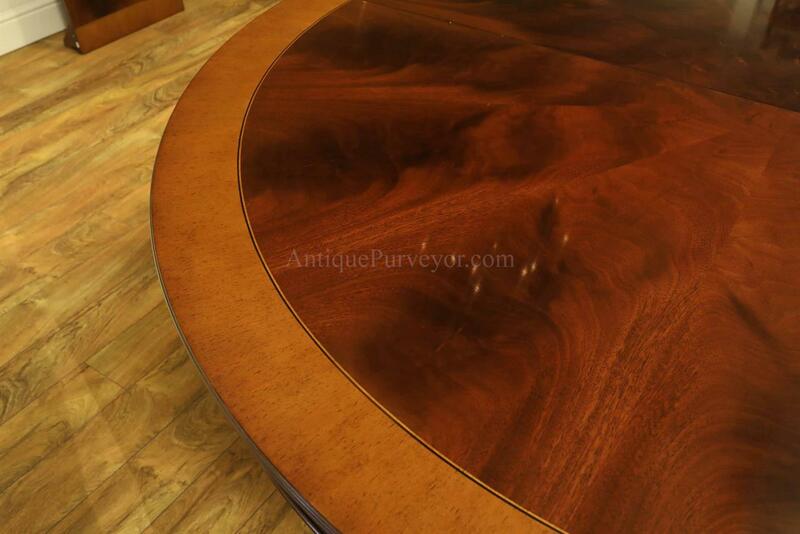 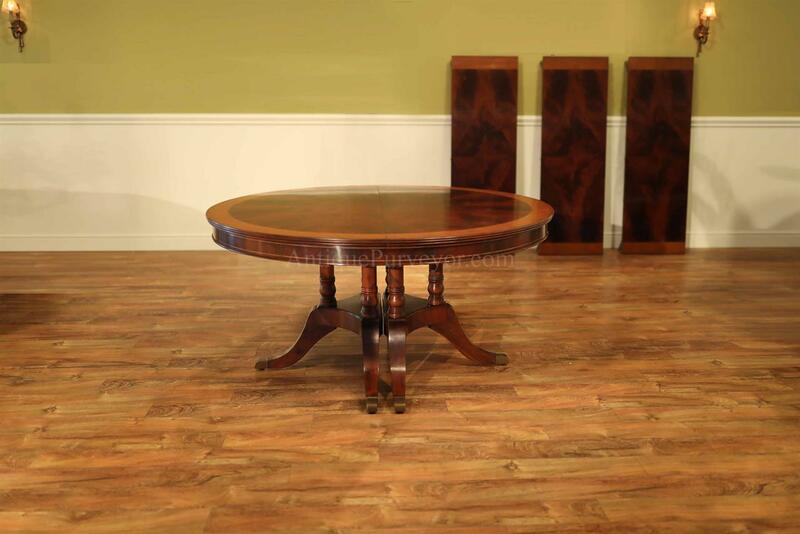 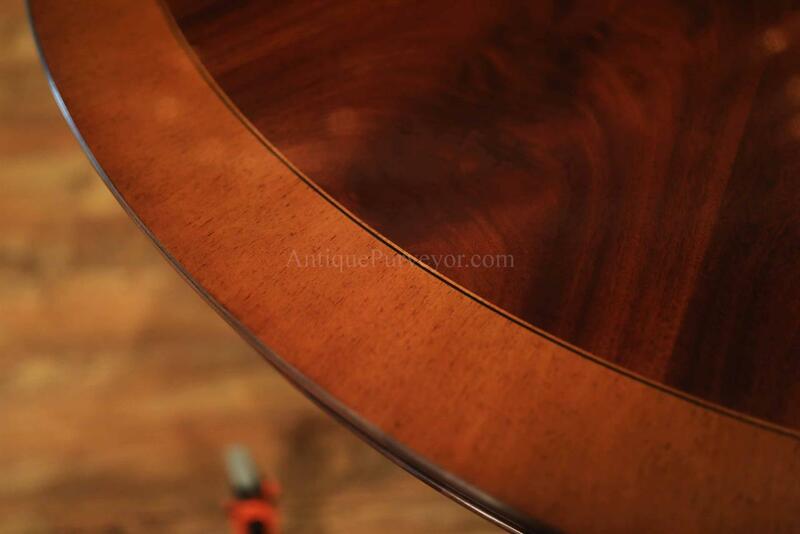 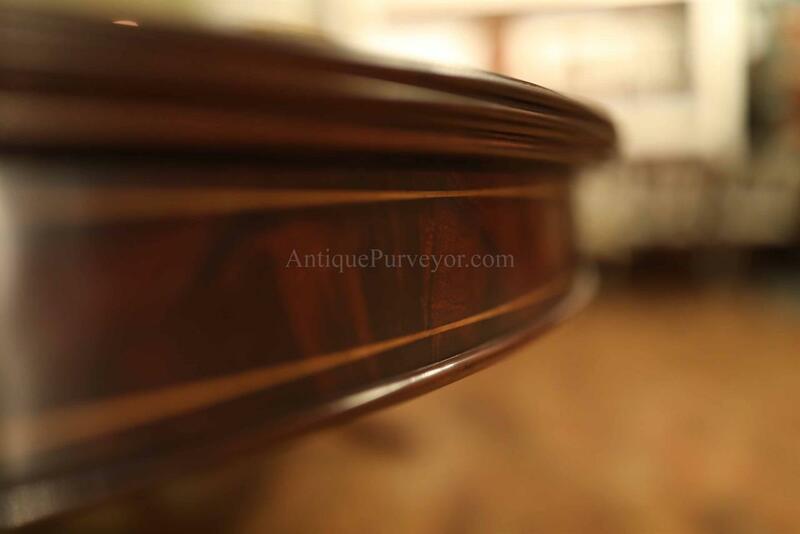 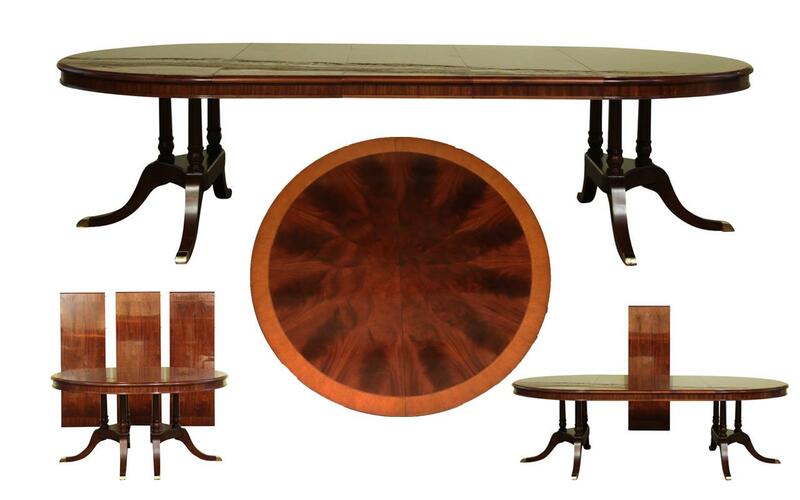 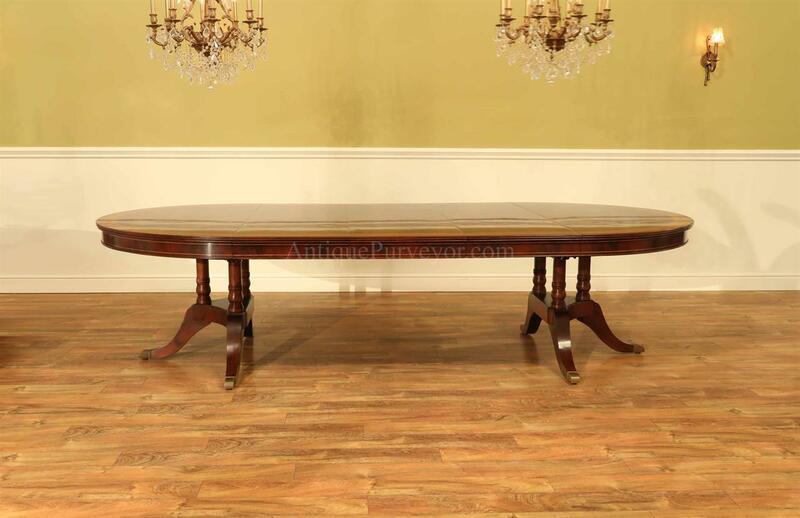 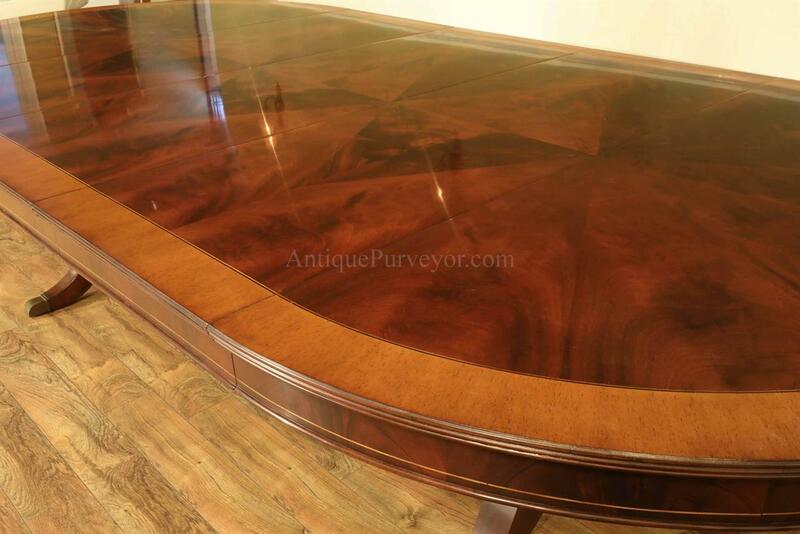 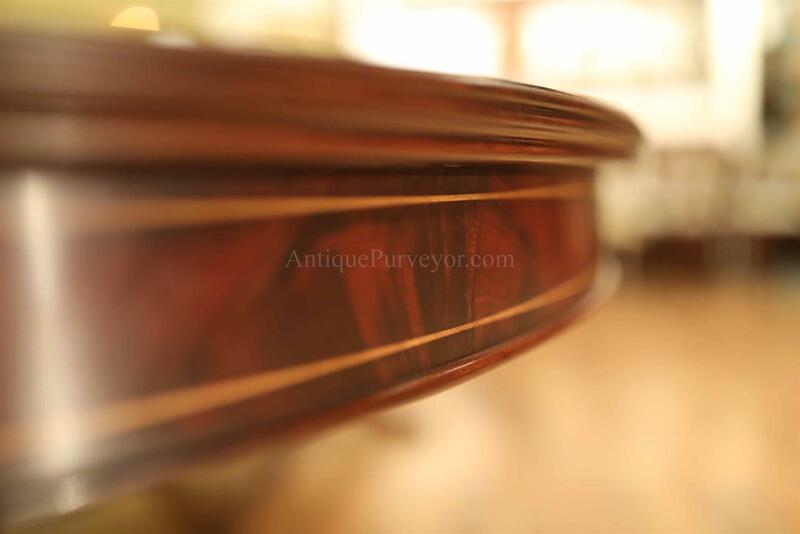 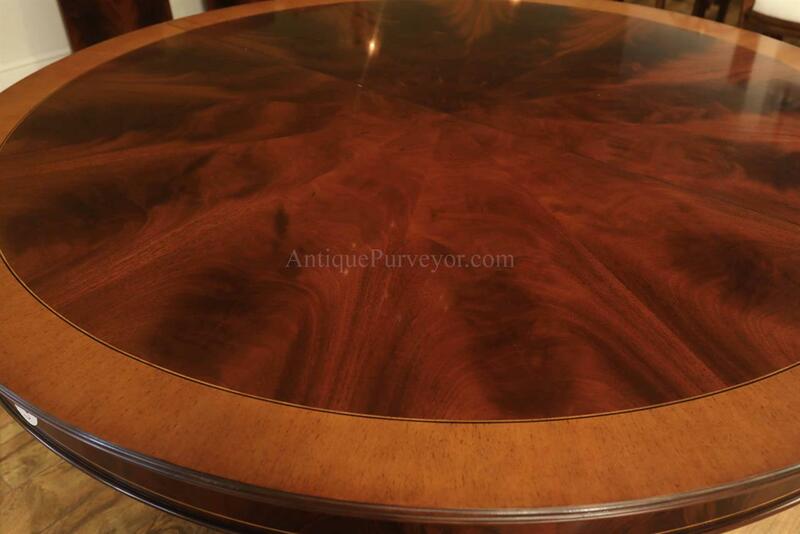 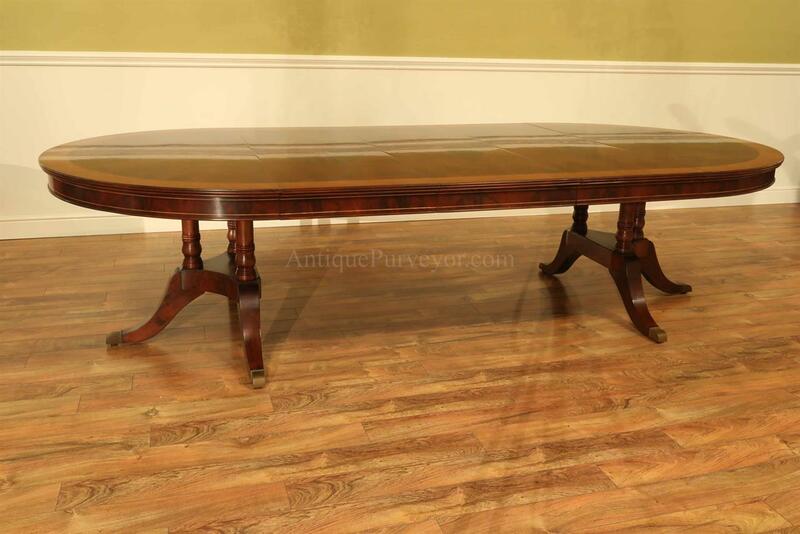 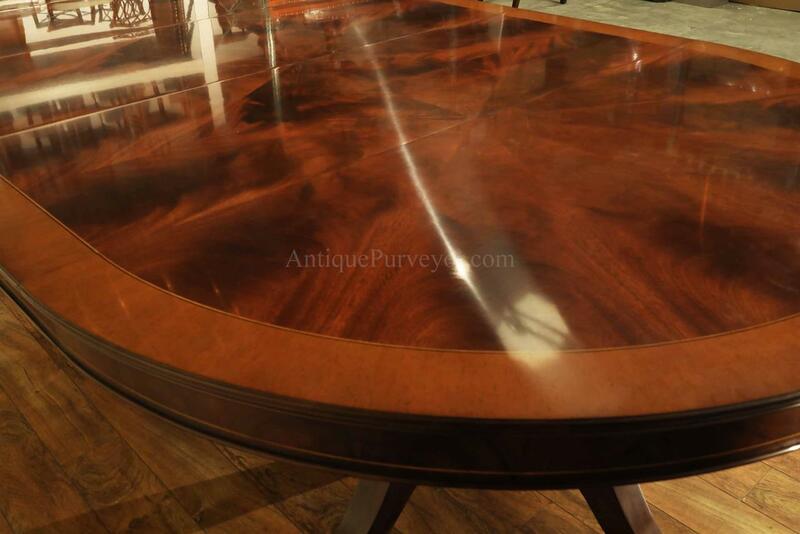 Description: 60 inch round mahogany dining room table with leaves. 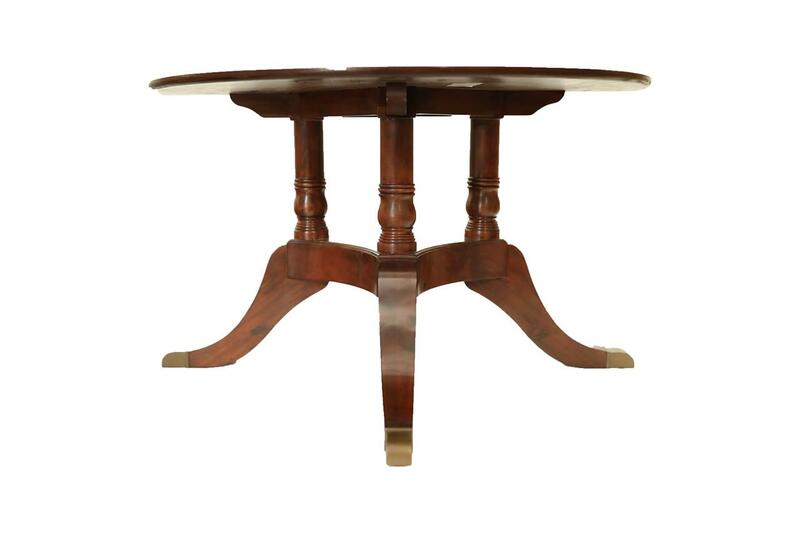 This is the most verstile table in its size and shape class that we know of and it is being manufactured exclusively for our online store. 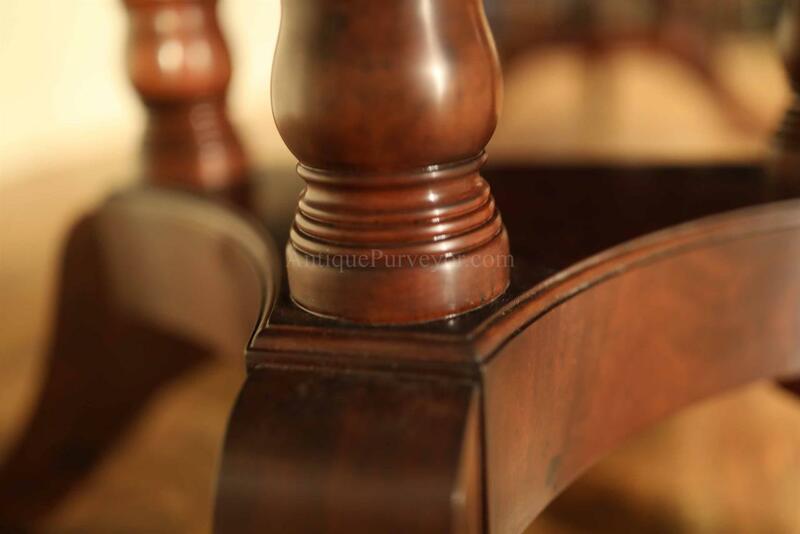 Quality at every detail. 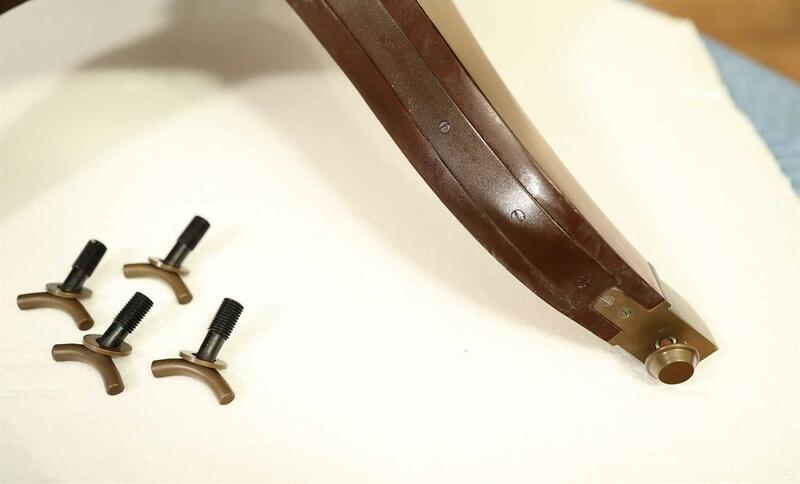 Veneers are bathed and rinsed in a proprietary solution to remove oils and tannins and than they pressed with machines to ensure an amazing layout. 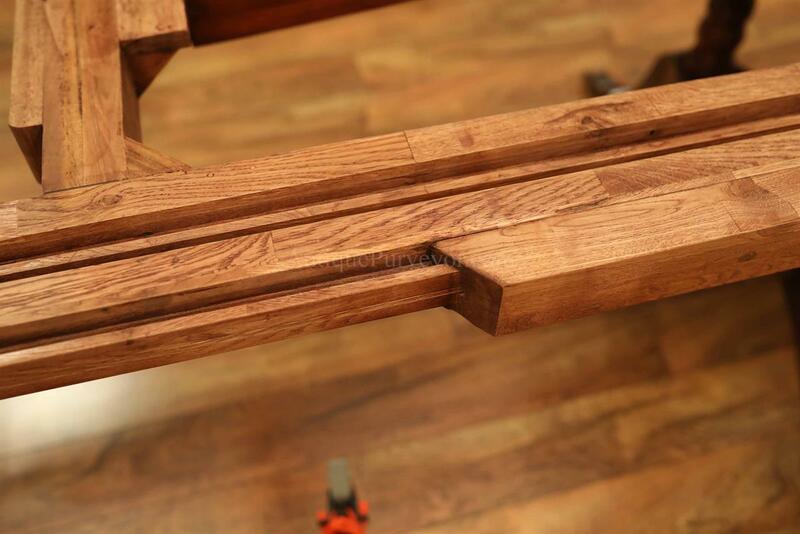 Every piece of hardware on this table is forged in-house. 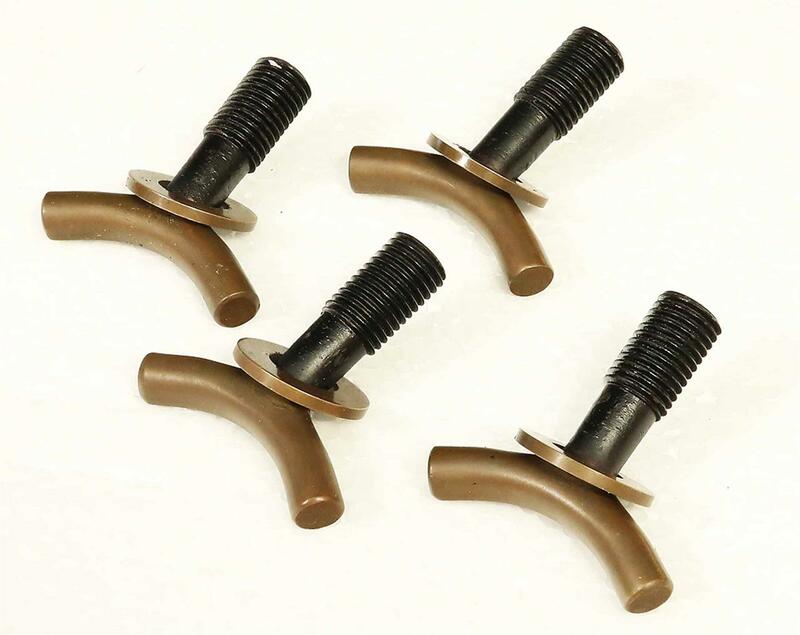 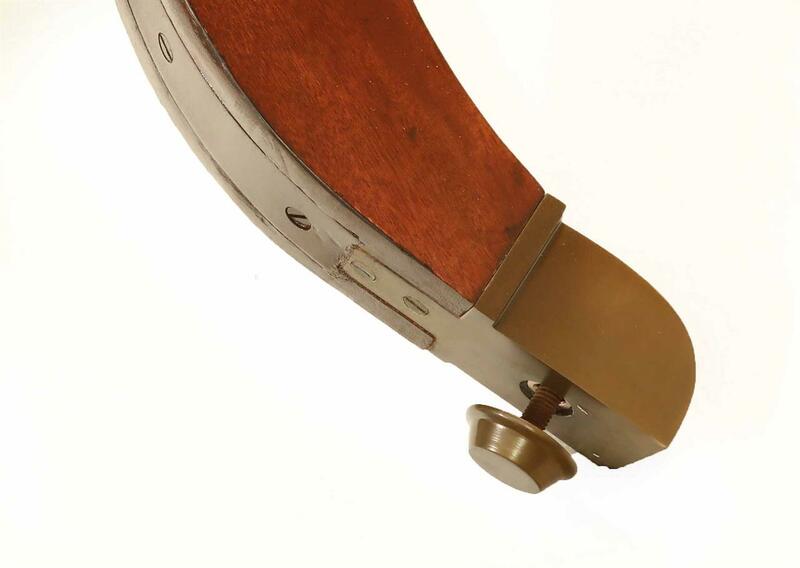 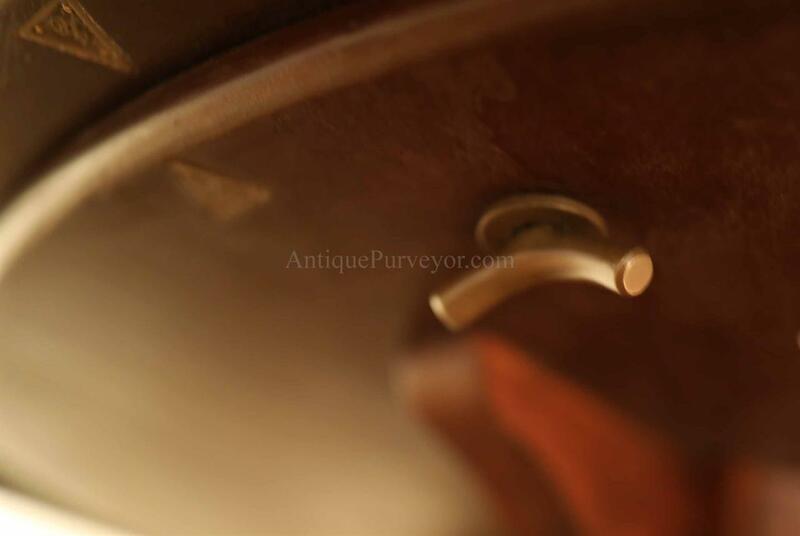 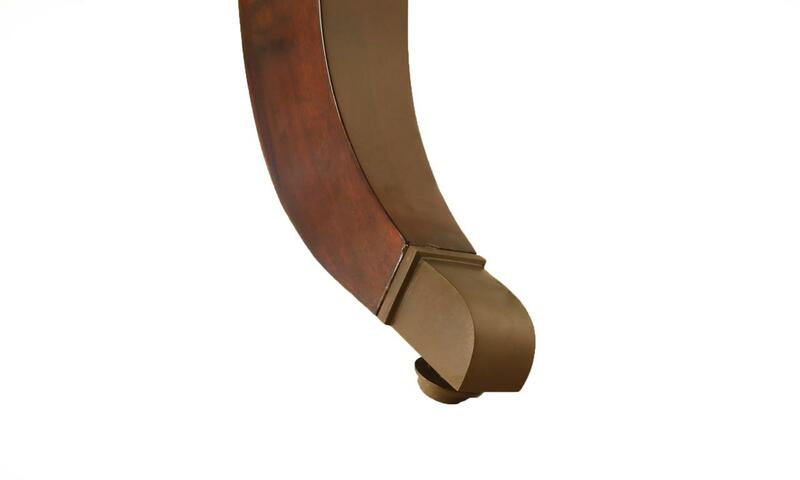 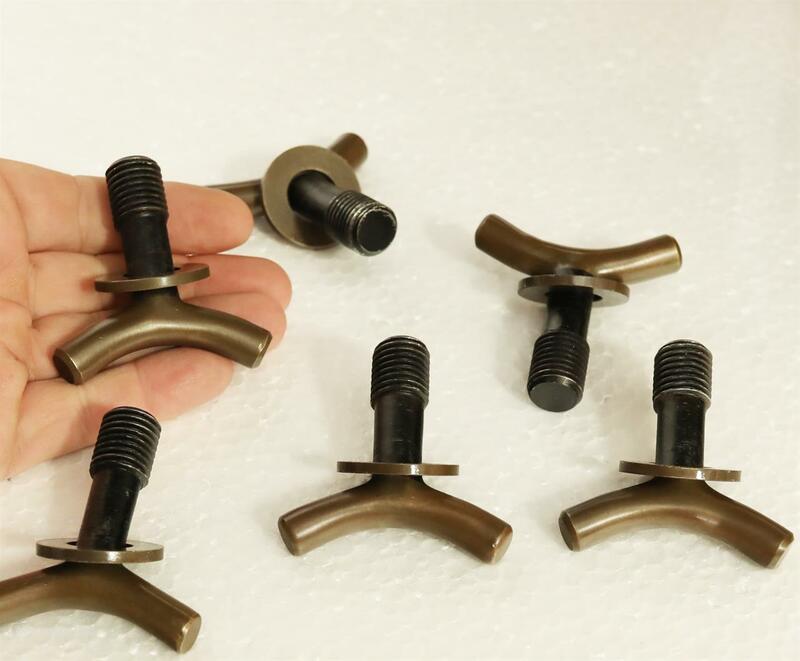 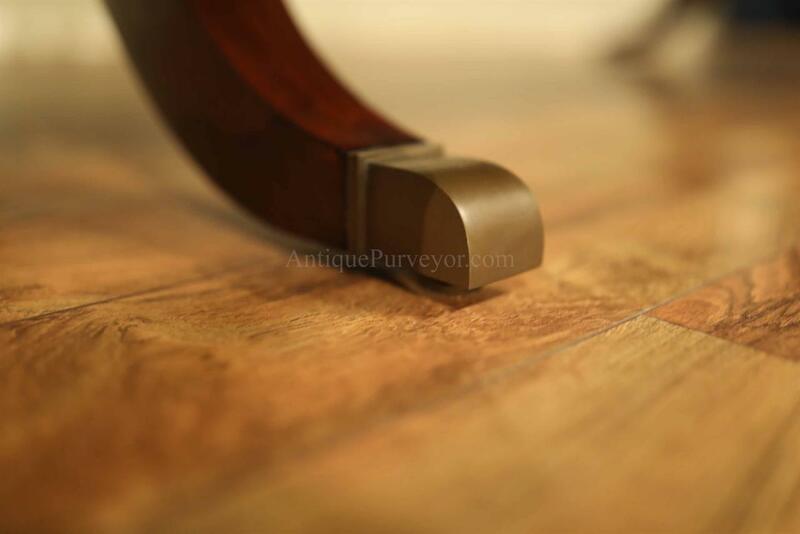 Each screw, brass casters and leaf locking hardware is all made at the factory for true Heirllom quality. 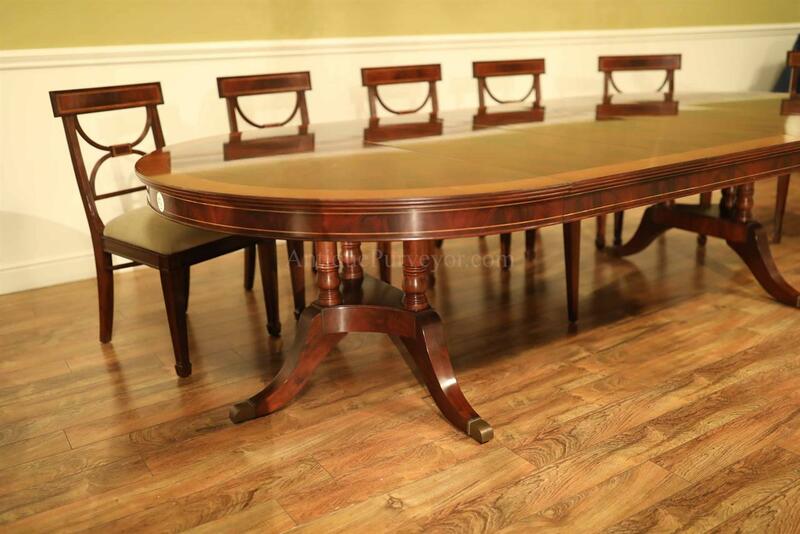 We are building this table in quantity and they ship direct to our warehouse so we are eliminating lots of unecessary expenses,middlemen, marketing etc... 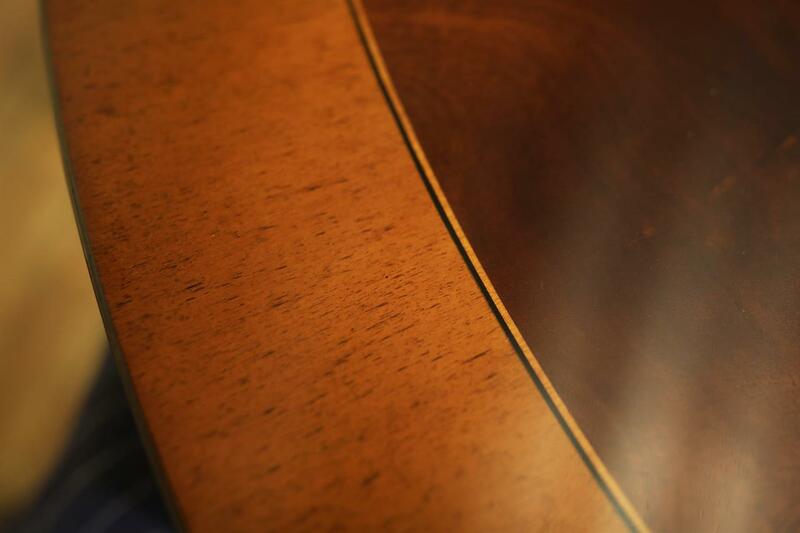 These saving are being passed to you, our client. 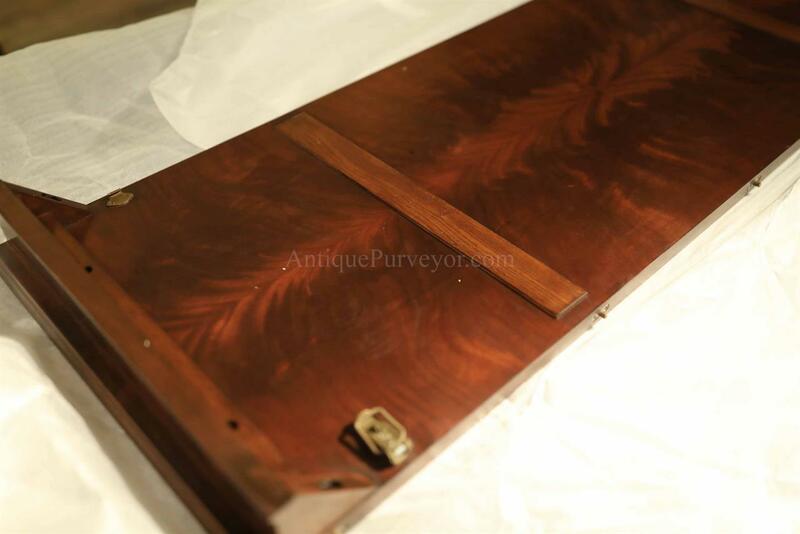 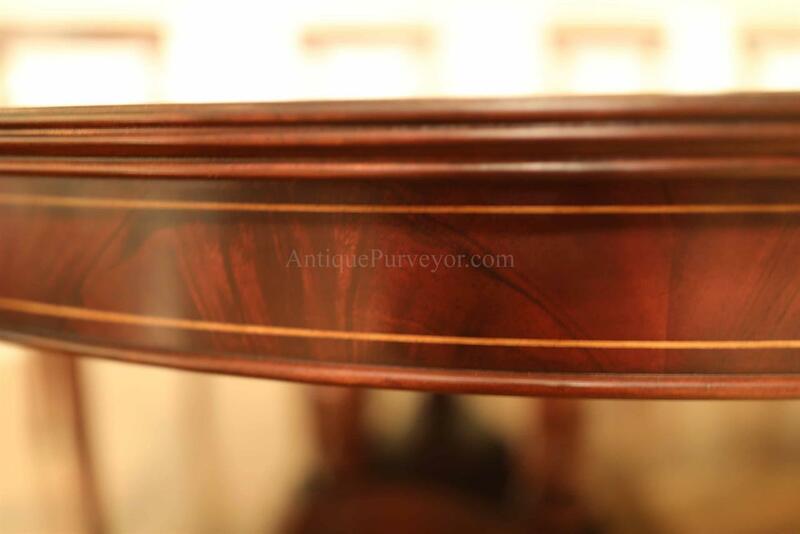 Pie-cut flame mahogany field and bordered with a lighter brown satinwood inlay. 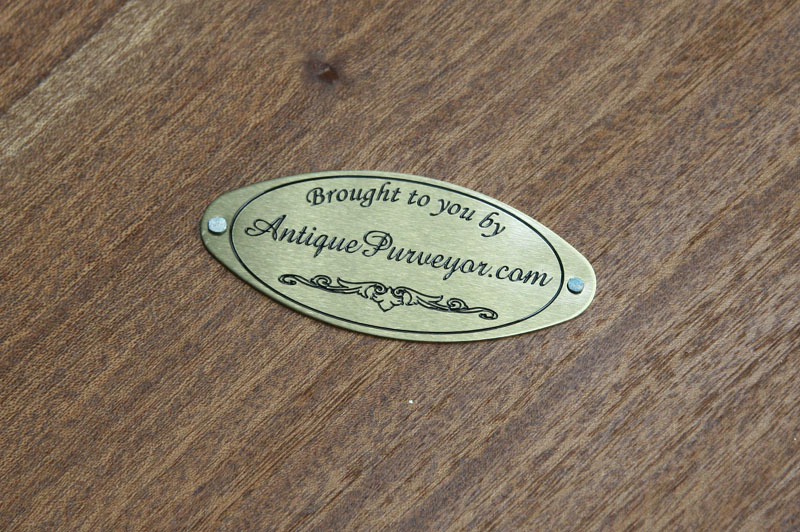 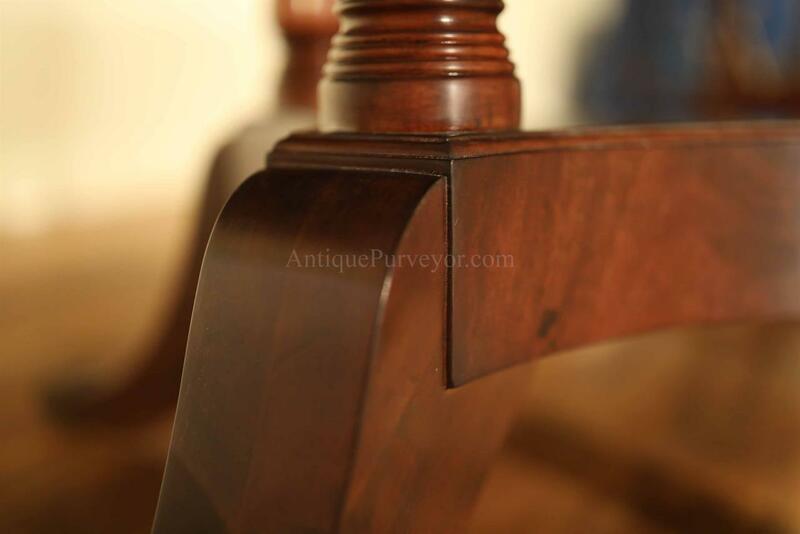 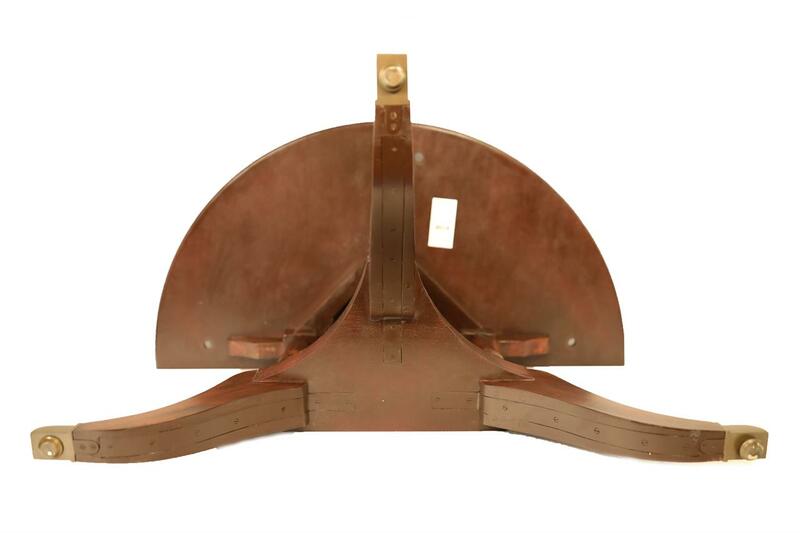 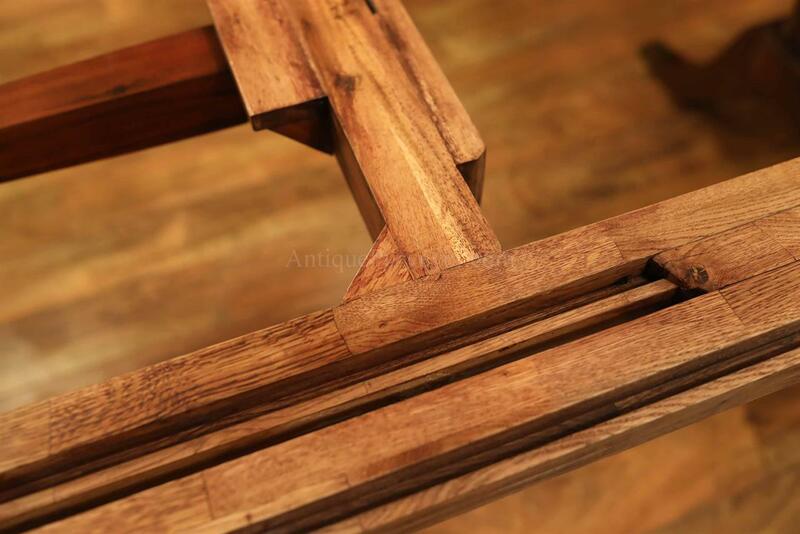 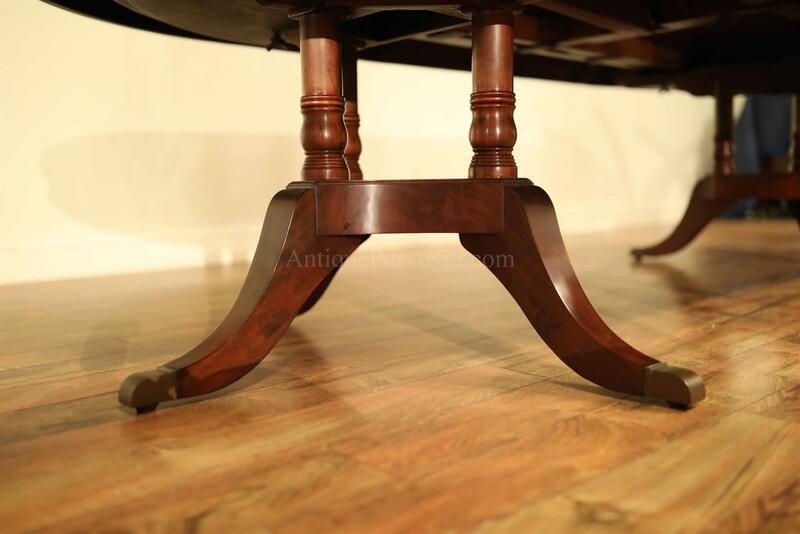 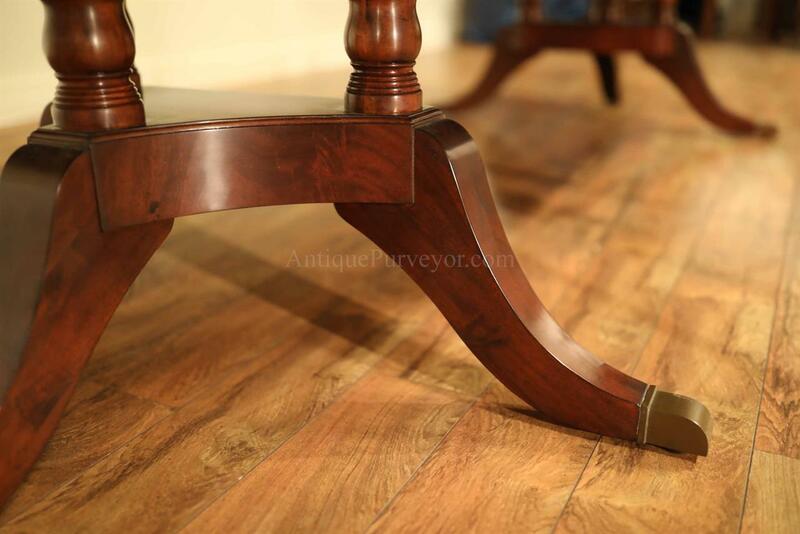 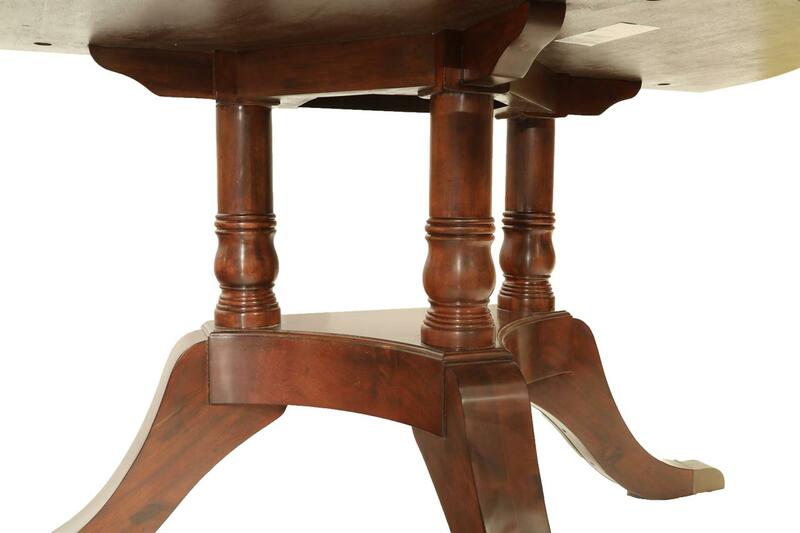 The split pedestal will hold this table sturdy whether the table is opened or closed. 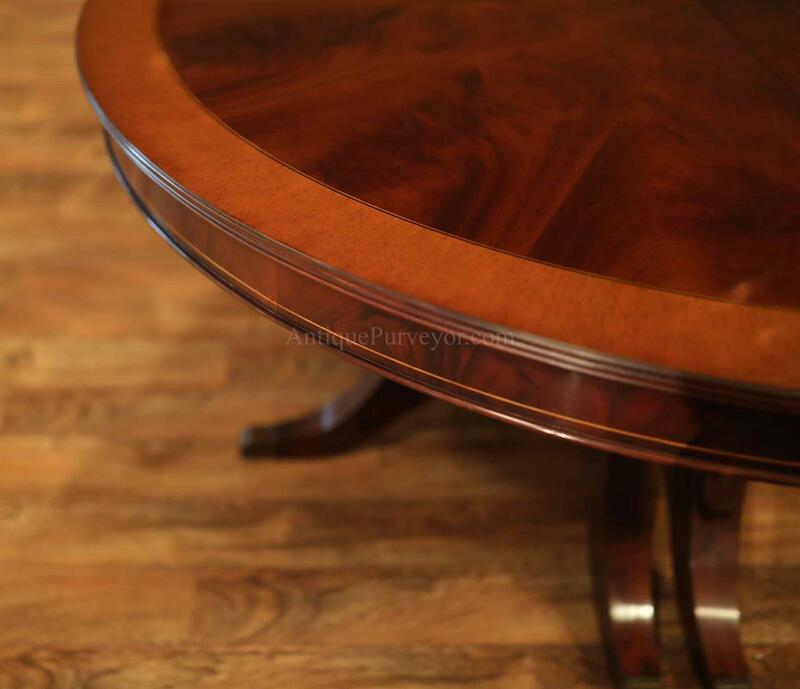 This table is part of our "Custom Fit Classics" collection which is a collection of round tables tailored to fit any size dining area.